Use Photoshop and create a new document. Set your foreground and background colors to black and white. A shortcut for this is to restore Photoshop’s color defaults by pressing ‘d’ on your keyboard. Add some noise. Click filter->noise->add noise. Change the amount to 44%, the distribution to gaussian and make sure monochromatic is checked on. Add a gaussian blur to the dirt layer. Click filter->blur->gaussian blur. Set the radius to 0.9 pixels. Give the dirt layer it’s color. Click image->adjustments->hue/saturation. Make sure to check preview and colorize. Then change the setting to a nice brown. I used: Hue: 49, Saturation: 29, Lightness: -38. Click OK.
Change your background color to a grassy color green, I used, #52782F. 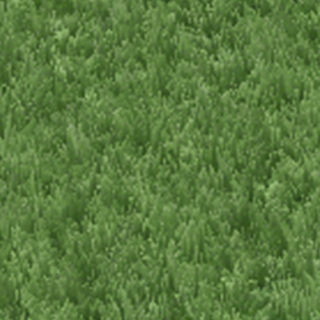 Hit ‘ctrl, backspace’ to fill your current layer (Grass) with the green color you selected. Add some noise to your new grass layer. Click filer->add noise->noise. Choose 30% for the amount, gaussian for the distribution, and check monchromatic. Click OK. Blur the grass layer. Click filter->blur->gaussian blur. 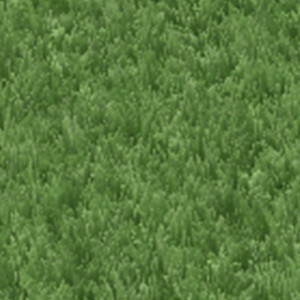 Change the radius to 0.9 pixels, click OK.
Use a couple of wind filters to lengthen the grass and simulate the look of blades. Click filter->stylize->wind, and change the settings to: method, stagger and direction, from the right. Click OK.
Add a little more direction and interest to our layer. First click image->rotate canvas->90 CW. Click OK.
Repeat the last two steps now, but go in the opposite direction. So go to filter->stylize->wind again and choose stagger, from the left. Click OK. If grass could use a little more contrast, then change the levels by clicking image->adjustments->levels. Drag the white and black sliders towards the middle till you get the variance you are after. Click OK. There you have it! Grass for all kinds of backgrounds.